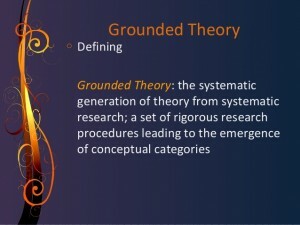 Few research methodologies have been so beguiling as grounded theory. Even when researchers are not working squarely within this methodology, many strategies for data analysis are liberally borrowed from the work of grounded theory methodologists. For those who claim to be doing grounded theory, the ground on which they stand has and continues to shift from the original positions proffered by Glaser & Strauss in the mid 60s. Most especially Glaser’s realist ontology has been left behind. Certainly, Juliet Corbin pushed that process along in her collaborations with Anselm Strauss and more recently Kathy Charmaz has offered what she calls a constructivist grounded theory approach. 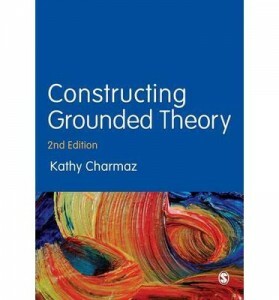 On the latter, you can watch this interview with Charmaz that clarifies her view, one that I think captures the emerging contemporary stance on grounded theory. The use of prior empirical and theoretical literature is a key idea in contemporary grounded theory… the old school notion of avoiding all prior knowledge has been largely set aside in favor of abductive reasoning that sees the researcher traveling back and forth between their empirical data and relevant literature.